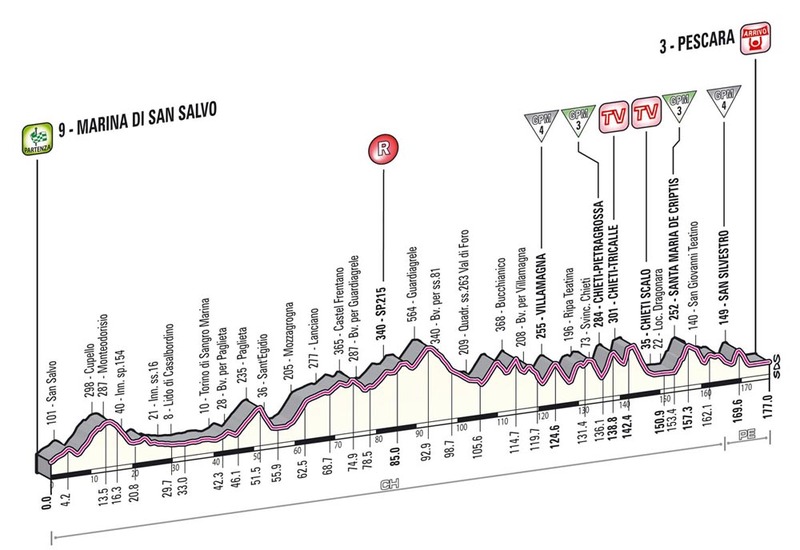 This is a typical Abruzzese stage that could equally feature in Tirreno-Adriatico: one with plenty of small climbs that combine to make a dangerous day. In Italian, you’d say imboscata (ambush), meaning this stage could sneak up and bite. There are plenty of pitfalls as it weaves its way through Chieti and down to Pescara on the seaside. The highest categorised climb is only 300m, but it combines with three others. The last San Silvestro climb tops out with 6km to race and presents an opportunity for a rider to drop his escape companions. 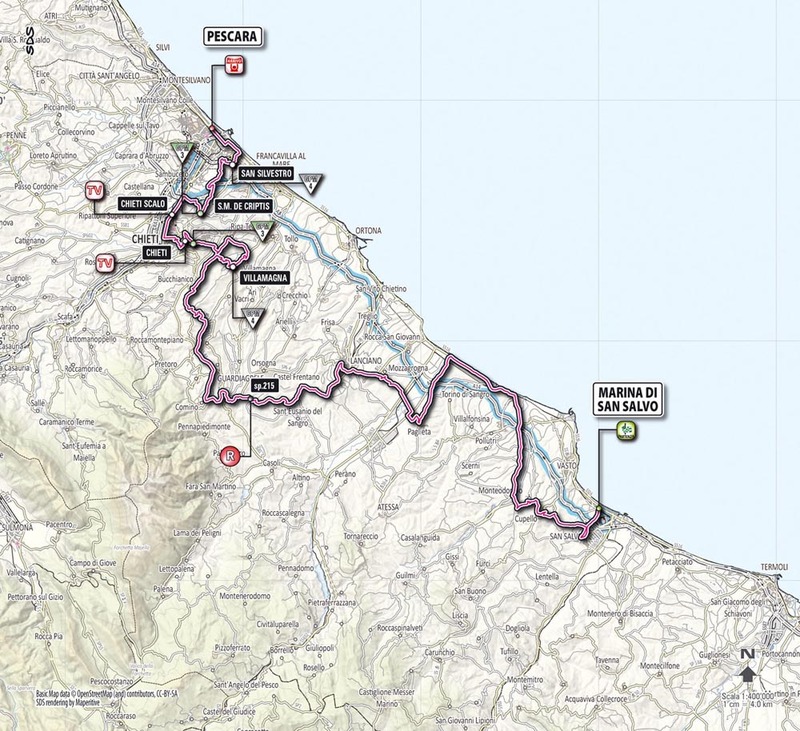 The stage to Porto Sant’Elpidio in this year’s Tirreno-Adriatico comes to mind. Just down the road, Vincenzo Nibali took advantage of the steep ramps and stole the overall lead from Chris Froome. The Giro took off from Pescara in 2001, when Rik Verbrugghe time trialled into the pink jersey. It has visited on 16 other occasions. Most tourists will overlook Abruzzo for nearby Tuscany, but the food alone should be enough to tempt them. Order a plate of maccheroni alla chitarra or guitar string pasta and a side of arrosticini sheep skewers. Polish it off with a glass of Montepulciano d’Abruzzo wine.